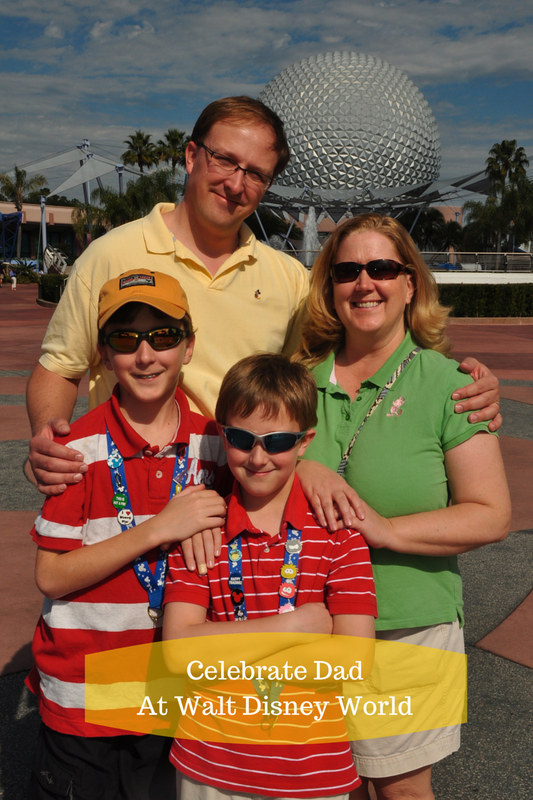 Several years ago we celebrated Father’s Day at Walt Disney World. There are so many different ways to celebrate at Disney. Why not make special memories in the place where dreams come true? You can make these occasions more memorable and truly spectacular with a little extra planning. 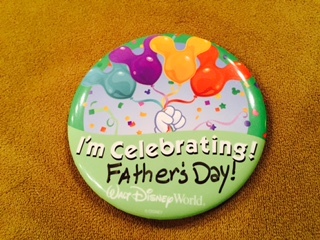 Stop by Guest Services to pick up a I’m Celebrating button. Ask the Castmember to customize it with a Sharpie pen. Most Dads love to sit in front of a flat screen tuned to ESPN. Why not take him to The ESPN Club to watch his favorite team. Check out the ESPN Wide World of Sports complex. Both pro and amateur teams use this state of the art facilities. During MLB Spring training guests fill the seats to watch the Atlanta Braves. Disney offers three 18-hole championship golf courses, including the Disney Palm Course, redesigned by Arnold Palmer Course Design. The Four Season Resort Orlando located in the exclusive Golden Oaks Community near the Magic Kingdom gives guests the opportunity to hit the links at the newly renovated Tom Fazio designed Tranquilo Golf Club. Disney also offers a 9-hole course at Oak Trail as well has two miniature golf courses even non-golf families can enjoy together. Looking for a little less activity but still enjoy the outdoors? Why not book a fishing excursion on Bay Lake for the whole family. Make an early morning reservation when the fish are biting and the sun is not too hot. Disney provides the boat, fishing guide, and all supplies. Disney has over 100 different restaurants throughout the property. Make a reservation to sample some of his favorite foods. Many Dads love a good steak dinner and its even tastier when they are not the ones grilling it. Check out Le Cellier, Shula’s Steak House and the Yachtsman Steakhouse. STK Steakhouse is set to open in later in 2015. Once opened it will offer the only rooftop dining experience in the Downtown Disney area. Downtown Disney offers many unique shops tailored to men. Check out the Art of Shaving and make an appointment there for the royal treatment at the Barber Spa. Sosa Family Cigars showcases the art of hand rolling cigars. Even if you don’t smoke, stop by and watch these artisans work. Why not end the evening at Splitsville. This one of a kind bowling venue features 30 lanes, live entertainment, gourmet food and beverage selections. 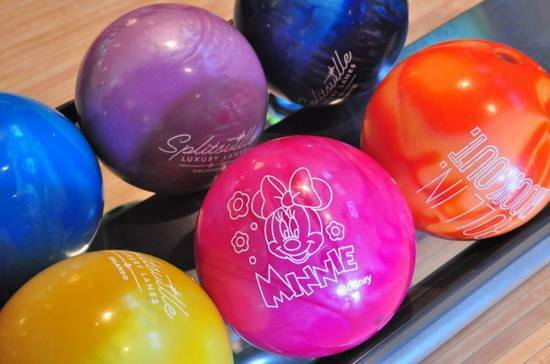 It is not your typical bowling alley. You don’t have to visit in June to enjoy any of these Father friendly activities. Disney offers them all year long. So pull him off that recliner, out of his man cave and celebrate with Dad on your next Disney vacation. 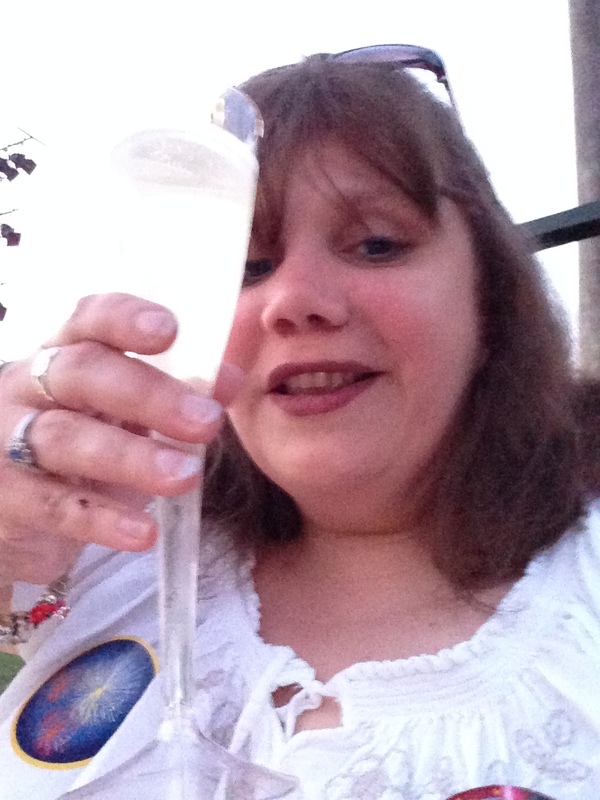 Guest Blogger, Patricia Mickus is founder and author of MagicalMickeyTips. Patricia is an avid fan of all things Disney. Her first trip to Walt Disney World was 40 years ago during their opening year. Since then, she has taken 35+ trips to Disney destinations. 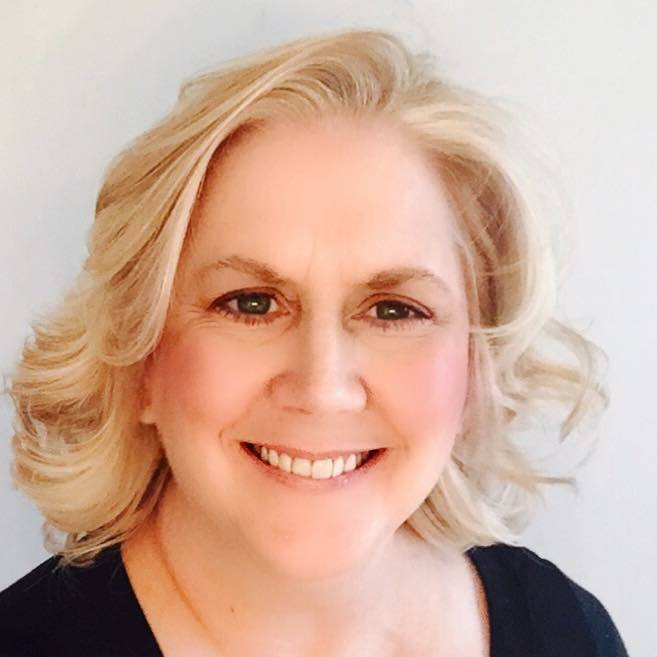 Patricia lives in Northern Virginia with her husband and two sons. She enjoys traveling, cooking and skiing. Her favorite Disney attractions are the classics – Pirates of the Caribbean and The Haunted Mansion. 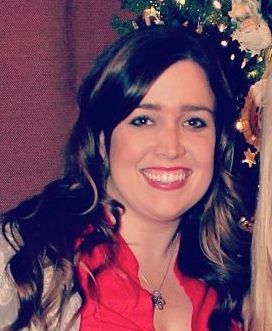 Patricia works full time as a travel agent, specializing in Disney vacations. You can find her on Facebook. Ay amigos! It’s that time of year again. Time to celebrate Cinco De Mayo. For those of you that are too Central Florida bound to make it to Mexico to celebrate, you can have your own special celebration, right here in Walt Disney World. Head over to EPCOT to start your festivities. There are several different ways to do this. Here’s a list of my top 5 (plus an extra one for adults only). 5. Meet Donald Duck at Mexico – this is an often overlooked character meet and greet, since it’s a little off the beaten path. However, Donald shows his true Mexican love in a great sombrero and Mexican-inspired outfit. He can be found beside the Mexico pavilion on a little off-street. 4. 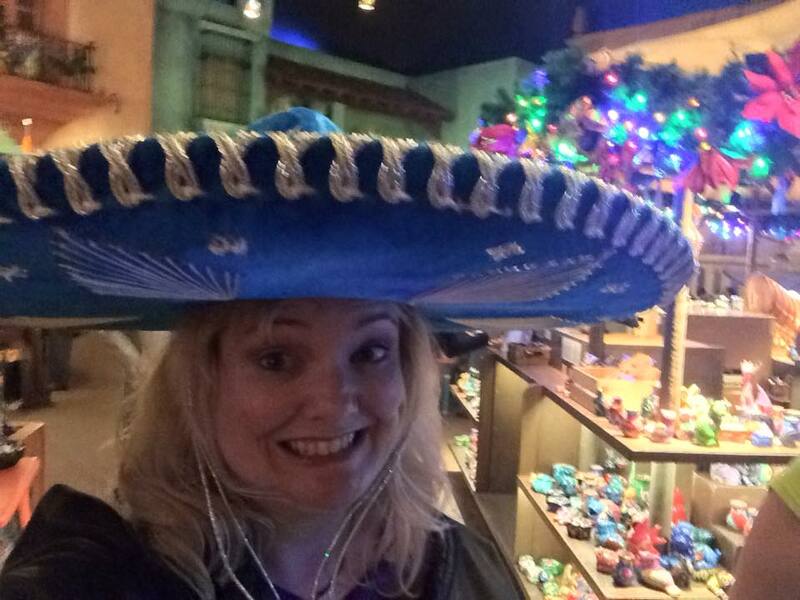 Sombrero Time – take time to try on sombreros. While you’re doing this, take pictures to capture the moments, like Krista has done below. This is a great opportunity to get out of the sun and enjoy a wonderful time with friends (or even by yourself). Post your picture on Facebook, then challenge your friends to do the same thing (maybe even come up with a contest to see who can make the wackiest face). 3. Lunch at La Cantina De San Angel – for a great way to celebrate without actually going inside the Mexico pavilion, stop by La Cantina De San Angel outside for a quick bite with a Mexican flare. This a counter service location, and the service is pretty quick and always yummy. I recommend the Tacos De Barbacoa. It’s delish! 2. Dinner at San Angel Inn Restaurante – this excellent restaurant is located inside the Mexico pavilion and has seating that overlooks the beginning of the Three Caballeros boat ride (similar to the Blue Bayou Restaurant and Pirates Of The Caribbean at Disneyland). The atmosphere is set to remind of you twilight in Mexico, which is always the right time for a fiesta. This is a very popular restaurant and reservations are HIGHLY recommended. 1. 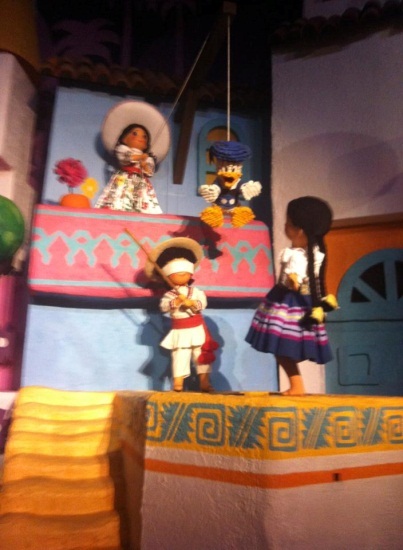 Gran Fiesta Tour starring The Three Caballeros – this ride is the ultimate in Mexican celebrations. Take a fun boat ride through some of the history and sites of Mexico, while in search of Donald Duck, along with Jose and Panchito. This is a great ride for the whole family. It’s indoors, you’re seated the whole time, and it’s nicely air conditioned (great for those hot and humid early summer/late spring days). BONUS HIGHLIGHT: For adults, there’s a great little place in the Mexico pavilion called La Cava Del Tequila. That’s right, it’s a TEQUILA BAR and it’s AWESOME!!! Make sure to check this out for some “adult libations”. You can also pick up Kahlua chocolate truffles in the shop outside La Cava. Perfect for some adult alone time at home. I hope this helps you to enjoy Cinco De Mayo while on your festive trip to Walt Disney World. I know it helped me. As I sit down to open Ron Schneider’s book “From Dreamer to Dreamfinder”, I stop for a moment to ponder what I know about this man and what I expect I’ll read. The only answers I can come up with are the fact that Ron was the original Dreamfinder when EPCOT Center first opened in 1982 and that he has one of the same unique characteristics that Walt Disney had: he can tell a story and, in doing so, can take you on a journey. I knew this because, prior to receiving the book, I had enjoyed an afternoon at EPCOT (thanks to Krista Joy of Disneyways.com fame and author Shelby Pickett) with Ron. The afternoon, which began with dinner at The Garden Grill, allowed an intimate group of us to sit and relive the fascinating details of the first character allowed inside EPCOT Center, followed by a ride-along of the current Journey Into The Imagination with Figment ride. Ron’s eyes sparkled as he told us just a few of the stories of his short-lived (but legendary) life as Dreamfinder. He told us of the little boy that said he was Jesus, and of meeting celebrities for the taping of the opening of EPCOT Center. Then we had a rare opportunity indeed. One of the gentlemen dining with us had met Ron years ago and had his picture taken outside of the Imagination Pavilion with Ron. Tears filled my eyes as I watched this now grown up man pose with the Dreamfinder to recreate a picture taken more than 20 years ago. So as I opened my book, I eagerly anticipated the joys I would find within. And believe me, I was not disappointed. Ron has had an incredible life, both within and outside of the theme park world. From working with the famed Wally Boag in Disneyland at the Diamond Horseshoe, to helping to craft themed dinner shows on Orlando’s famed International Drive, to helping create the Character Department at Universal Orlando Resort, Ron has clearly always had a brilliant eye for what the public will love and has brought joy to our hearts, even if we don’t know he was behind it. As I said before, Ron was instrumental in bringing character interaction into being in Universal Orlando Resort, including such acts as the Blues Brothers, among many others. Ron also had a hand in what is now known as Beetlejuice’s Graveyard Review. His repertoire also includes working at Six Flags Magic Mountain, voicing a tribute to the 50th anniversary of Sea World, and helping write scripts and record for the Monsters Inc. Laugh-Floor attraction at Walt Disney World’s Magic Kingdom Park. In the book, Ron gives you an honest viewpoint of what it’s like to be a theme park employee and the guts, sweat, and tears it takes to put on the show every night. He gives us an in-depth look at the inner-workings of how a successful entrepreneur works his magic, and also shows us a no-holds-barred look at the cut-throat entertainment business. He shows us that not all that glitters is gold, even though you put your heart and soul into it. Anyone that has enjoyed a good dinner show, or thoroughly enjoyed every aspect of a theme park attraction would enjoy reading “From Dreamer to Dreamfinder”. Ron’s work with Six Flags, Universal Studios, Walt Disney Productions, and Sea World have had a lasting impact on generations of families and will continue to bring us laughs and joy throughout the ages and his skill at telling a good story has led to an amazing book. This is definitely one book that will not be collecting any dust on my shelf (I’ll be too busy referencing it again and again in my own daily life). Thanks for the memories Dreamfinder! Most Disney fans are familiar with the the way that Epcot opened ceremoniously on October 1, 1982. In the early days, there wasn’t a Disney character in sight! Can you imagine? But then, from 1982 – 1987, the one and only Ron Schneider, Epcot’s original Dreamfinder, helped to change all of that. To this day, Dreamfinder is one of the world’s most iconic theme park characters. He is loved by Disney fans all over the world, and how could he not be? With his top hat, beard and loveable sidekick Figment, Dreamfinder had a mission to encourage children of all ages to use their imagination. He brought wonder and excitement to Disney guests of all ages. As a child of the 1980’s I was one of those (probably millions!) of kids whose favorite part of the original Journey Into Imagination attraction – was seeing and hearing Dreamfinder. To meet him outside of the attraction – was not an encounter that one could ever forget. Fast forward to January 2015, when my friend Shelby suggested that we have an event with Ron Schneider. We thought it would be really fun to celebrate Ron, and the gift of joy he has given to so many. I contacted the original Dreamfider, and although he is VERY busy, he was incredibly gracious and agreeable to taking time out of his day to meet with us. January 8th 2015 – a handful of us sat down for an excellent meal at the Garden Grill – and had an absolute blast being in the presence of this man. As we finished up our meal, we had drawings for some fun gifts, sponsored by Travel Planner Mary Morales. Thanks Mary! By this time, I had grown quite attached to the hat, and decided it made me feel in charge as I handed out raffle tickets! I knew this would be a great time, and I knew it would be special because of Ron, and just being at Epcot with so many good friends – new and old. But during dinner, one of my (other) very favorite parts of the night began to happen. I met and spoke with Leo for the first time ever. My new friend Leo, over at the end of the table, with tears in his eyes, began telling me how much this event meant to him. Leo has loved the Dreamfinder character almost all of his life. He showed me his photo with Ron from long ago. LOOK at little Leo!! I can’t even take the cuteness in this photo. My heart was so full as I was able to take Leo’s photo with Ron, and recapture the magic of that day so long ago! After dinner, we all followed Ron to his attraction in the Imagination pavilion. Leo and Ron sat together in the front seat! Of course a few shenanigans may have ensued along the way. As we exited the ride and visited with Ron, there seemed to be a some sort of signal spreading like wildfire among the cast members that there was a celebrity in the building! Everyone from sales associates, to leads, and everyone in between, started approaching him for photos. There may even have been an Imagineer or two! Our group spent some more time together at Epcot until finally, we all had to say goodbye. I don’t think any of us will soon forget this magical night! Our thanks to Ron, our server Barry, and all the people who had a part in making it so very special! It was truly something that Disney dreams are made of. 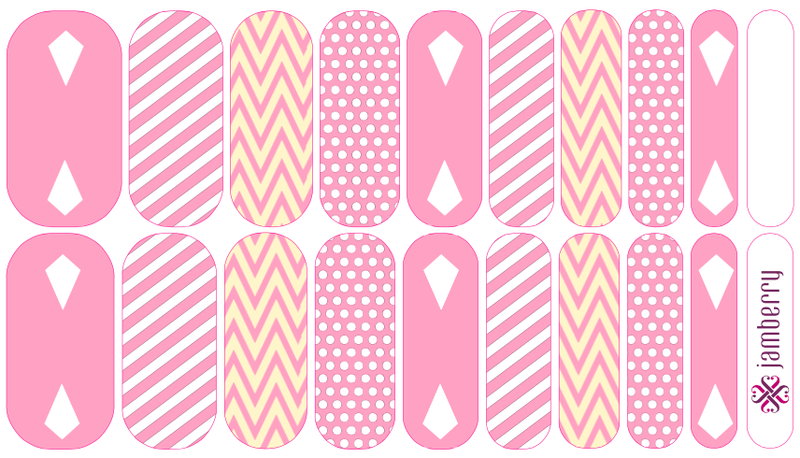 I’m back with more information on Jamberry and some new Disney-inspired designs! If you are planning a Disney vacation anytime in the future, it would be awesome to take a long what us Jamberry consultants call a “Jamicure”! Since Jamberry nail wraps last up to 2 weeks on fingers and 4 weeks on toes, you won’t have to spend a minute thinking about your nails and worrying about chips during your vacation. Jamberry nail wraps are completely water-safe, so you can definitely spend all day in the pool at your hotel or go on any water rides at the parks without worrying about ruining your beautiful nails. Also, no last minute trips to the salon while you’re busy prepping for your trip – you can EASILY give yourself the perfect Jamicure! Jamberry is much more cost efficient than a mani/pedi at the salon (a single sheet gives you 2 pedicures, 2 manicures, and 8-16+ accent nails! ), which means more money for your Disney trip! In my last post (https://disneyways.com/2014/09/06/meet-tanya-your-official-jamberry-consultant-for-disneyways/), I shared some fun Disney-inspired character designs that I created in our custom Jamberry nail art studio. I’ve now created a few Princess-inspired designs. It would be so much fun to have Elsa-inspired nails when you meet Elsa in the new Frozen attractions at Epcot! I have also created designs inspired by Cinderella and Aurora (my favorite princess!). Let me know if you have any other characters or princesses you would like to see a design for. I’ll be posting soon with some beachy-Disney designs to get everyone ready for those Disney cruises! Winter will be over before we know it (unless you spend too much time around Elsa ;-)). You can contact me on my Jamberry Facebook page (https://www.facebook.com/tshoresjamberry) with any questions or to get info on how to order these special Disney-inspired custom nail wraps. 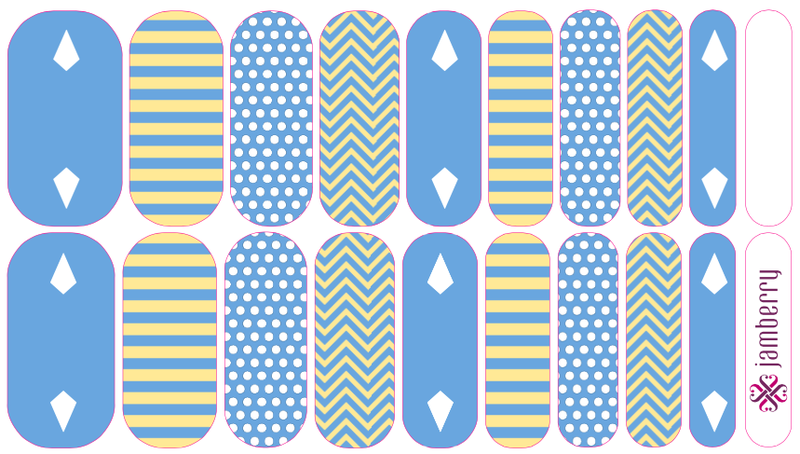 Find out more about Jamberry on my Independent Consultant site (http://tshoresjam.jamberrynails.net). Recently, I have seen several people post questions on social media sites about whether or not they should go to the IllumiNations Sparkling Dessert Party at Epcot. My answer to this is… YES! My husband and I attended this separate ticket event this past May 2014 and we were NOT let down. To begin with, the party offers an amazing view of IllumiNations: Reflections of Earth. The location at World ShowPlace offers the guest a view of almost the entire World Showcase Lagoon. I know there are many great location spots for viewing IllumiNations throughout World Showcase, but, for me personally, it was a spectacular view. Being a “vertically challenged” woman of 4’10”, this particular view gave me an opportunity to see parts of the show that I had never been able to see before because physical barriers of one sort or another had always blocked part of my view. 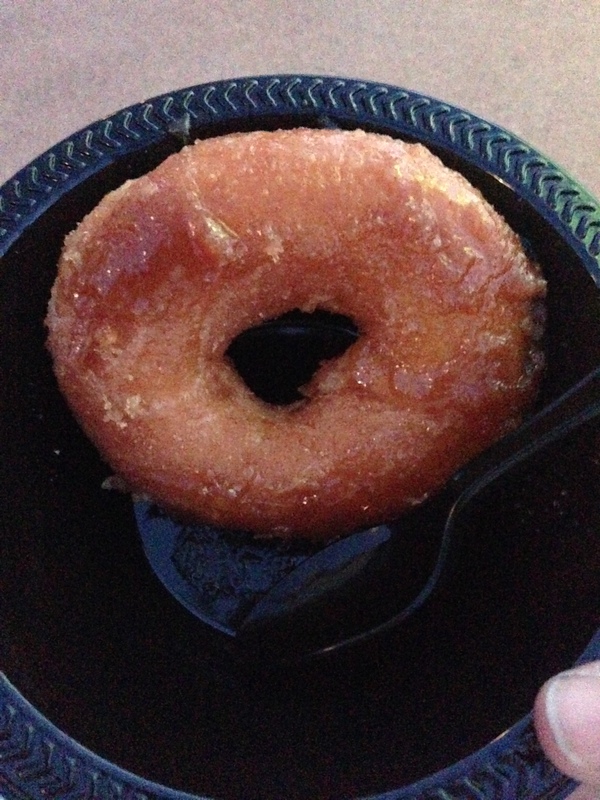 Cronis-a donut cooked in Kahlua Liqueur and Bacardi Rum, dusted with sugar. I liked both of the wines offered, but my personal favorite was the Prosecco from Italy. Enjoying my sparkling wine or as I call it, “a tasty beverage”. A final reason to attend the IllumiNations Sparkling Dessert Party is for the atmosphere. Check in to the party begins about an hour before the start of IllumiNations. This is a great opportunity to enjoy not only the desserts and drinks, but mingle with other park guests as well. I HIGHLY recommend getting there an hour early. This allows for time to get in and find a table to enjoy the party’s treats. Yes, there are no chairs, so we were standing for much of the party. This is probably the biggest complaint that I have heard about the dessert party. Please be aware of the fact that guests to the party will be standing the entire time. So find a table, enjoy the treats, and talk with other park guests. My husband and I ended up sharing another table with a couple from New Jersey and had an enjoyable time discussing our trip experiences. Overall, I would say there were around 100 park guests attending the event, though I didn’t feel it was too crowded. Time went by quickly, though, while enjoying the treats and talking to other guests, and it was soon time for IllumiNations. Though my husband and I did not linger too long after the show was over, we were not rushed out by cast members, and we could have stayed longer had we chosen to do so. For those who have not seen IllumiNations: Reflection of Earth at Epcot, it is a Walt Disney World experience that is not to be missed. It is a truly jaw-dropping show of fireworks, flames, and light spectacular over the World Showcase Lagoon. 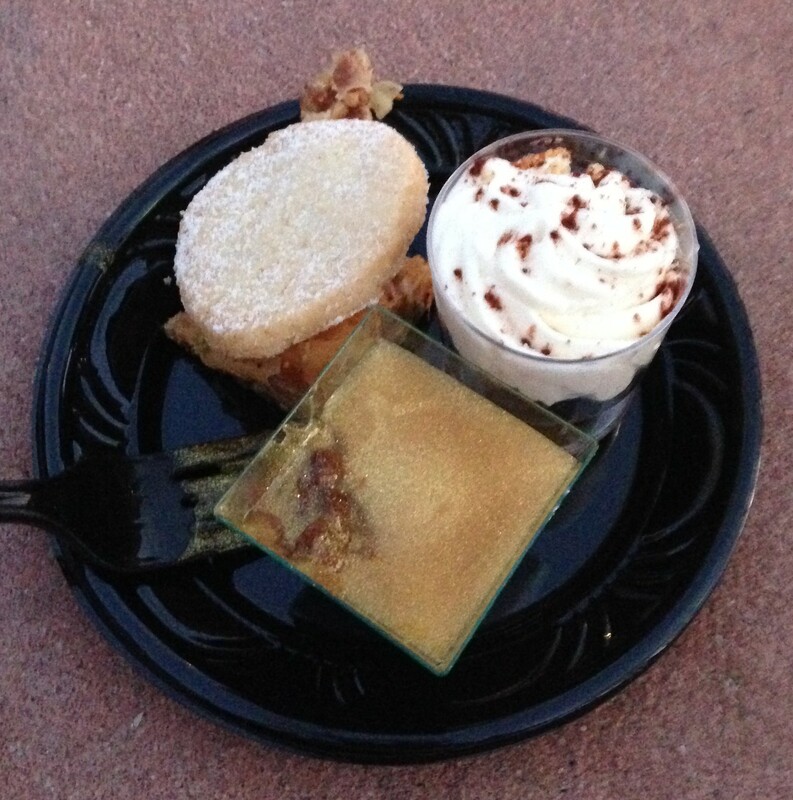 The IllumiNations Sparkling Dessert Party can be booked at The Walt Disney World website or by calling 1-407-WDW-DINE. At the time of publishing, the cost of the party is $49 for adults and $29 for children.